MARATHON – Stratford won all seven matches that were contested, and took the other seven by forfeit, as it blanked Marathon 78-0 in a Marawood Conference wrestling dual on Thursday at Marathon High School. 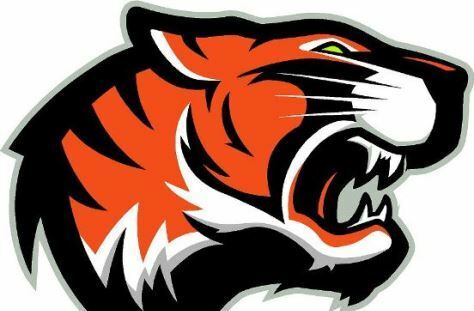 The Tigers remain unbeaten in Marawood duals, clinching no worse than a tie for the conference title, and will finish their regular-season schedule Jan. 24 at home against Edgar. The Marawood Conference Meet is Jan. 26 at Auburndale. Logan Gaulke (106 pounds), Max Schwabe (132), Mav Liccardi (145), Derek Marten (152) and Devin Dennee (160) all won by pin for Stratford. Derek Kraus earned a 13-8 win at 126 pounds, and Manny Drexler won 10-3 at 120 for the Tigers’ other two wins. Gavin Drexler (113), Jacob Heiden (138), Devin Dennee (160), Trevor Dennee (182), Trevor Steiner (195), Cole Marten (220) and Dylan Schoenherr (285) all won by forfeit for Stratford. 106: Logan Gaulke (ST) pinned Emily Stieber, 0:51. 120: Manny Drexler (ST) def. Dane Klinger, 10-3. 126: Derek Kraus (ST) def. Jared Sweno, 13-8. 132: Max Schwabe (ST) pinned Nick Reynolds, 1:13. 138: Jacob Heiden (ST) won by forfeit. 145: Mav Liccardi (ST) pinned Tristen Dehnel, 1:59. 152: Derek Marten (ST) pinned Jocelyn Van Rixel, 0:26. 170: Hunter Ford (ST) pinned Addison Sedivy, 1:30. 182: Trevor Dennee (ST) won by forfeit. 285: Dylan Schoenherr (ST) won by forfeit.